Recipes for black bean brownies have been floating around for years, but I never got around to making them until yesterday. I guess, deep down I had a hard time believing that a dessert made from black beans could taste good. 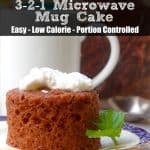 But, yesterday, I was looking for a quick and easy low fat dessert to satisfy a chocolate craving, thought of the brownie mix sitting in the pantry, and decided to give them a whirl. After some searching I decided to go with Gina from SkinnyTaste’s recipe for Black Bean Brownies, that she posted way back in 2008, and that I tweaked only slightly. Many of the recipes I looked at call for using the black beans with their liquid; I liked that Gina used rinsed black beans and a little water instead. Boy, was I pleasantly surprised! 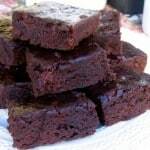 The brownies turned out rich and fudgy with no hint of black bean flavor or texture. And they are low fat, high in fiber and protein. I think one key is to puree the heck out of the brownies in a food processor (affiliate link) or blender (affiliate link) until they become a silky smooth puree. This is when my Vitamix (affiliate link) comes in handy. 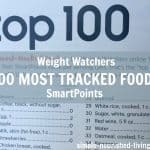 I calculated the nutrition and points information with a 20-ounce package of Ghirardelli Triple Chocolate Brownie Mix (affiliate link) and a 15-ounce can of Sprouts black beans and came up with 139 calories and *4 Weight Watchers PointsPlus Value for each small brownie. 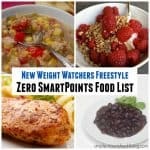 Under WW New Plan for 2018, these are now *6 Freestyle SmartPoints. There are lots of different recipes for black bean brownies – both from scratch and using a mix – out there. I’ve included a collection of those I think look best at the end of this post. Enjoy! If you’ve made these black bean brownies, please give the recipe a star rating below and leave a comment letting me know how you liked them. Low-fat, rich and fudgy black bean chocolate brownies that are as quick and easy as they are delicious. Position an oven rack in the center and preheat your oven according to the instructions on the box of brownie mix. Spray your baking pan with nonstick cooking spray. Open the can of beans, drain and rinse well. Put beans back in the can and fill the can with water. Put beans, water, coffee and cinnamon (if using) in a blender or food processor and blend until smooth. In a large bowl, mix together the pureed beans and dry brownie mix. Spread the brownie mixture evenly into the prepared pan. Bake the pan of brownies according to package directions. Cool and cut into 20 brownies. I baked these in a 9-inch square pan at 325F for 45 minutes and they turned out perfectly. These brownies need to be completely cool before eating. They improve after sitting overnight. 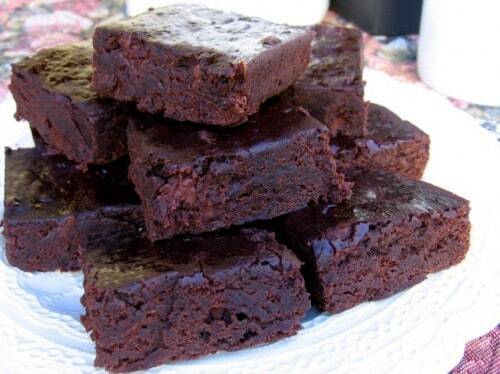 Amazing Black Bean Brownies – These look delicious and may be great for those eating Gluten-free since they contain no flour, but with 1 cup of butter and 4 eggs in the recipe, these are far from Fat Free. Found at 101 Cookbooks. Low Fat Vegan Black Bean Brownies – a super healthy variation I plan to try real soon made with black beans, bananas, cocoa powder and oats. Each brownie has just 85 calories and 2 Weight Watchers PointsPlus, *3 WW Freestyle SmartPoints from the Happy Herbivore. 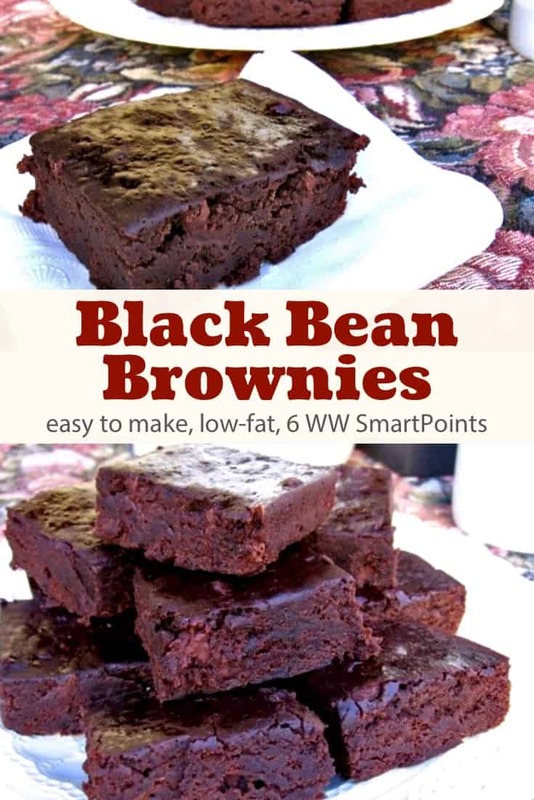 Weight Watchers Black Bean Brownies – a from scratch variation with 6 WW SmartPoints found at Weight Watchers. Hi, we dont get black beans in the plce i live.. can I replace black beans with kidney beans or black eyes peas? I’m not sure. I’ve never tried anything other than black beans. I think that white beans such as cannellini might work, but haven’t tried it yet. If you try with kidney beans or black eye peas, I would love to hear how it turns out. The nutrition information is for 1 brownie, but many does a batch make–what is “1” equal to out of the whole batch? If you look near the top of the recipe, you’ll see that it says, “Serves: 20” and the end of the instructions says cut into 20 brownies so 1 brownie is 1/20th of the pan. Having a hard time with this one. I used to be able to put in “Nourishing” in my web searches and be guaranteed to get a true, nourishing website. Please, folks, don’t use “Nourishing” or “Nourished” in your titles and then use boxed mixes in your ingredients. Anything nourishing needs to advocate an NT way of eating, void of canola oil and convenience foods. 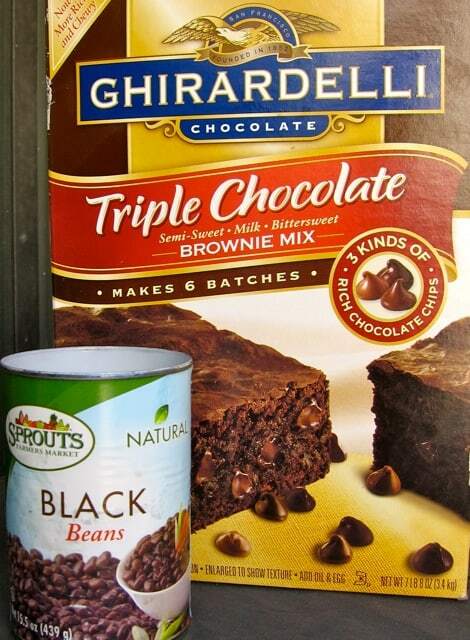 I have a brownie mix that is 10.25 ounces for an 8×8 pan, should I use half a can of black beans instead of the whole can? And how many cups of water I should I use? I’ve only done this with the larger brownie mix and full can of beans so I’m not really sure. I’d say try half the can of black beans. Place them in the can and fill the can with water half way or about to the same level as the beans. I can’t guarantee that this will work. You may need to adjust the baking time to 🙂 Good Luck!! Excellent! Made it for the Bunco group and didn’t let them know until later that evening what was in the brownies. Great recipe and so moist. I included the cinnamon and used espresso powder for the coffee. Martha, I am a recent subscriber to your blog. 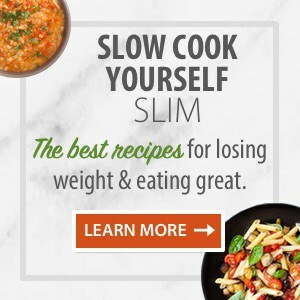 I just love it and all the information and recipes that you work so hard to provide is with. 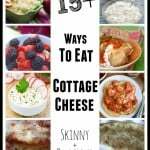 Everything has been so helpful to me on what I know is going to be a long journey as I have quite a bit of weight to lose. 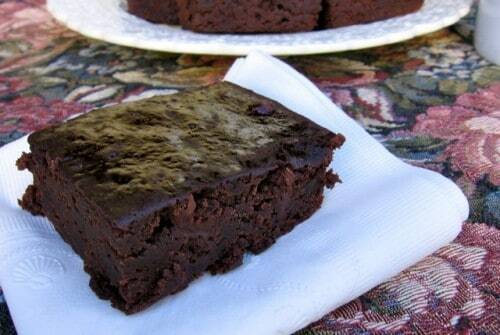 This black bean brownie recipe sounds wonderful. 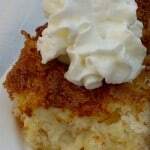 The recipe says it is 4 Weight Watcher Points. 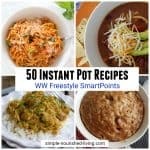 Is that Freestyle points or points for a prior recipe. Again thank you for all your hard work to help all of us with our weight loss journeys. Thanks for your kind comments. 4WW Points Plus refers to a previous WW Program. According to my calculations these brownies would have 6 WW Freestyle SmartPoints each. Hope this helps! I love this recipe and am making brownies for Thanksgiving dessert! I make these all the time and surprise my friends when they find out they’re made with black beans! Try it with Cool Whip…awesome! Super easy and satisfied my chocolate craving! My coworkers really liked them, too.